According to a Hawaiian story, each child is born with a perfect bowl of light. The light represents her true essence. When a child grows and learns to respect her light – then she will grow towards her highest state of being. However, if she starts to distrust the world around her and resists the light because of fear, shame, guilt, the light begins to dim. Every time she resists the light, she drops a stone into the bowl until the bowl becomes full of stones and her light goes out. Today, on National Compliment Day, I thought of this story and realized that compliments are a way to turn the light back on – for ourselves when we receive them graciously and for others when we give them sincerely. Also, authentic compliments don’t need a lot of explanation – they’re simple and when given in person they’re accompanied with a warm smile that reaches the giver’s eyes. It’s not for nothing that compliments are known as ‘positive strokes’ – they have the ability to make people feel good about themselves. Having said that, some of us have a hard time receiving compliments. I think receiving a compliment graciously takes practice too. We need to take them with open arms, not feeling the need to put ourselves down or be pressured to return the compliment. The best way to receive a compliment would be to say a sincere ‘Thank you’ with a warm and open smile. So every time to you give a compliment, do so sincerely, remembering that you’re helping to remove a ‘stone’ from someone’s bowl of light and don’t resist the light yourself – take compliments graciously and let your light shine! When we accept compliments graciously the Universe gives us more when we don’t we send a message that we are not worthy of compliments or don’t want any and the Universe always obliges – my belief. The Hawaiians were very spiritual people. Like Vidya I love the Hoʻoponopono mantra. What a beautiful story! If only we could always be aware of the the wonderful light that children are and allow them to shine as brightly as they can in their own ways. There is so much truth in the story. Heartfelt compliments are so up-lifting and simply add more light to the world. didn’t know about this story… nice one.. The big compliment I consider the greatest one in my life is that- someone somewhere draws inspiration from me… may be just one person or may be many…so for that unknown person atleast, I should never underestimate myself..
Oh how I love this post ahahaha! I’ve been reflecting on how I react to certain things. I realized that no matter how strong we have built our characters, we still need others to support us. We need first and foremost, to compliment ourselves ~ in just the same manner that you wrote it ~ we have difficulty accepting our inner beauty. 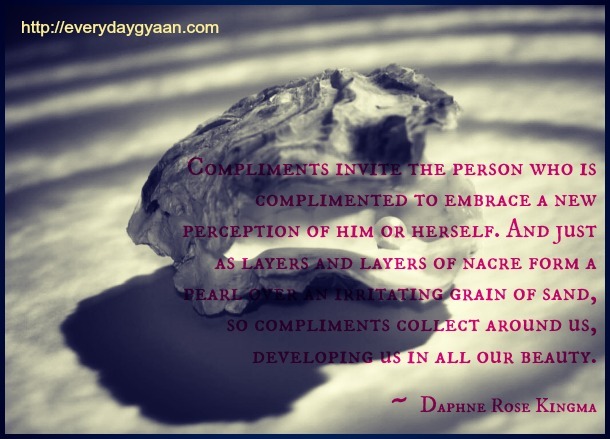 It would really be easy afterwards to see and compliment others when we have that love inside us. Thank you ~ love it ~ even the airy-fairy kisses ahahaha! Corinne ! this is so true, inspiring and beautiful ! Its always a pleasure to read your post. Thanks for sharing ! Love the introduction to your post, a beautiful story. I had a hard time accepting compliments but was fine at giving them, but only when I meant them 🙂 I am an open book and the joy or displeasure on my face can be spotted from miles away. So when I tell someone that I like his/her work, I really do…I also smile and say thank you, when someone compliments me. Loved reading your post, thanks for sharing. Absolutely love the pearl of wisdom the Hawaiian way about life. I feel it’s so true and one can easily distinguish between the fake ones and genuine souls. Thanks a ton, Corinne for this one and gonna share on FB. Compliments cost nothing, so why we hesitate to compliment sincerely? So true Corinne. one must know both-to give and to receive. Corrine – what a beautiful story of the bowl. It makes me think about when we forget to see our own light how we can effectively cover it up over time. I love the idea of compliments turning that light back on. And it is so true, whenever we see the beauty in another, we are acknowledging the beauty within each one of us. Thank you Corrine! This is an excellent story and something we can all afford to remember. A kind word can make us whole and a harsh one can scar us for a very long time. Compliments and appreciation go a long way in creating positivity and harmony in any relationship. I have a blog that mainly deals with relationship and communication issues, check it out! Beautiful tale Corinne. What a wonderful concept that as we truly relish another we add a little glow to their light. Love this. Wonderful story. Can’t beat a simple, authentically given “Thank You” in my opinion. I never knew that, so thank you for sharing that bit of wisdom at the beginning. Here’s a compliment for you…You always bring brightness to my day with the smile I see on your page, or FB profile, or wherever. Thank you! I have been working on being able to receive compliments better. My 17 year old son really has noticed I have a hard time with that. In fact he says to me, “What do you say Mom? You say Thank You and accept it.” He has actually helped me a lot, because I wasn’t even aware I was having a hard time with that. I have been working on it and you know what? It feels good to accept the compliment and say Thanks! As to giving compliments I totally agree. They need to be authentic and I find it easy to find something that is truthful with almost anyone. Seeing the good in others is usually easier than finding it within yourself for some reason. Thanks for sharing! There’s so much of wisdom in that story, Corinne. Thanks for sharing. Never heard that story before, but it leaves a delight of the innocence of children. How soon we all fill our bowls up with stones. Hey, even if a person gives you a complement and it is not genuine…take it anyways, surely someone out there would say it if they had a chance. Just believe it, even if you know they don’t mean it. It will all be their loss for not being sincere. I think we have all had insincere compliments from time to time. I am grateful for any kind words…even if? That’s a lovely post Corinne…I agree that for most of us it probably is hard to accept compliments and yet, a genuine compliment can make us feel really good! I have learnt over time that it’s ok to accept compliments and I don’t have to brush it off. 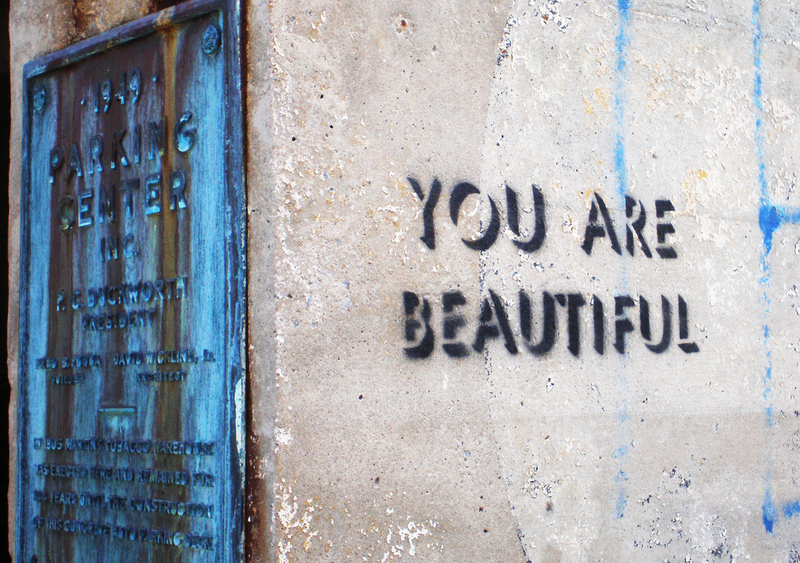 It can be difficult to accept compliments graciously – it really does take effort and practice for some of us. I am learning! Thanks for this great take on the subject. I loved your post! You can tell a genuine compliment from a fake one like you can tell a dog from a cat, it is very very obvious! I loved the story and I have a tough time accepting compliments. Completely love the analogy. Now each time I give a compliment I’ll think I’m lighting up someone’s life a little bit. Makes me happy. It took me many years to accept a compliment, and even nowadays I still feel slightly awkward. I think it was partly down to knowing that many people wanted something in return, and partly because I didn’t accept the fact that I was genuinely being told something nice about myself. When you’re raised with a lot of negativity, it’s hard to get on the positive side of things. Accepting you’re good at anything is not always easy for some I guess. I really enjoyed the simple Hawaiian story. This is a such a sweet and simple story. This applies to both, young and old. We do not lose any thing by remembering to say three things ,’thank you’ ‘sorry’ and ‘please’. .Thanks for sharing . Loved the Hawaiian story 🙂 I find it pretty difficult to deal with compliments actually. For one thing, I find it difficult to tell the honest ones from flattery, or perhaps even sarcasm 🙁 Used to be a miser in terms of giving too.. but that was more because of my introvert nature. But now I try to consciously compliment people if they deserve it. I guess that’s a start.. The Hawaiian story is simple, yet profound. Most of us forget that a compliment, smile or even an acknowledgement costs us nothing, but has a deep impact on the other person. I still have issues with accepting compliments, but that could simply be because of a long history of being taken for granted. And then, there’s the source of the compliment…some people do it solely with expectations. 🙂 But I’ve been learning over the past few years to receive graciously.